Ha, Ha, Ho, Ho, Ho! Very Good, Very Good YEAH! Smart Girls Laugh Their Butts Off! 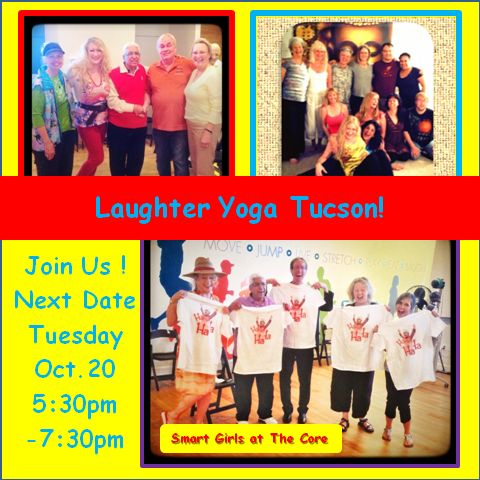 First introduced in Tucson by Cardiac Surgeon Dr. Gulshan Sethi the next meetup for the Smart Girls at The Party is October 20, 2015, 5:30 - 7:30pm at The Core, Tucson, AZ. I will be teaching....the class is FREE! "Laughter: The Best Medicine". Did you know the long term benefits of laughter and joy and what you can do to keep yourself smiling? We will have a blast with about 20 friends practicing some Laughter Therapy meditation silly clown techniques! Click to see our most recent class and join me on facebook. Have you ever experienced grief, PTSD, trauma or life emergencies that slapped you silly? I have and seven years years ago I found Laughter Yoga. As I began my Ayurvedic healing studies at The Chopra Center in Carlsbad, CA. 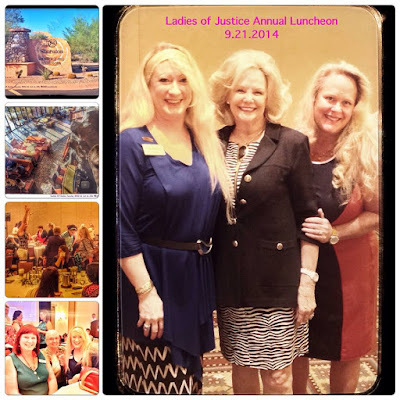 I began learning LY and then participated in teaching and sharing here in Tucson. 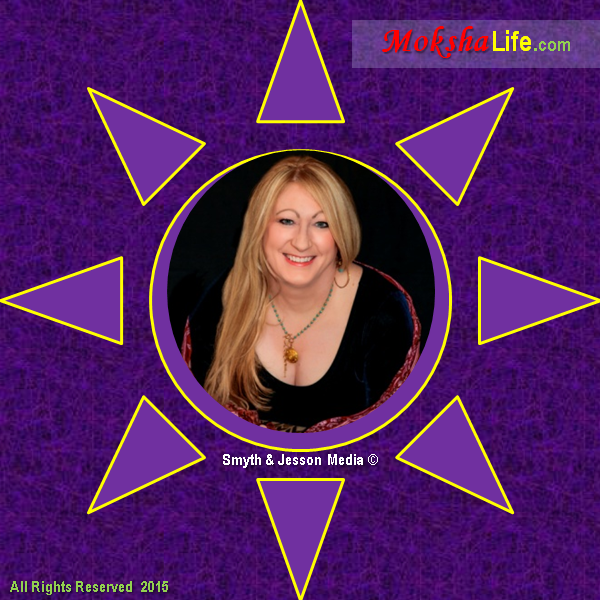 It was a huge help to my life and I find it to be vital to incorporate this training in all my corporate business tools.and media development work with MokshaLife.com Magazine, Tucson BizCHAT and Smyth and Jesson Media Moksha Design. Learning this skill will save you in healthcare costs and give you your life back!. It is very empowering to feel strong and balanced from laughter. I know firsthand how much happier and healthier I am and hope to help you feel better too. Laughter is the best medicine! Or connect with me by facebook message, email or phone. will include a fabulous day of training, lunch, entertainment and laughter. Hear what each woman has done to fulfill a desire, for example, book publication, travel, business success and more from around the United States and Canada. The last few years we’ve had guests on the Attorney Tami Hugo from DavisMiles.com Law Firm, former Ms. America as well as financial guru Teresa Kuhn and many others! NO wait list, our location requires a final head count. Our 2014 Ladies of Justice Luncheon was a complete SMASH success! This is a women's event so feel free to invite your friends, daughters (of appropriate age) and reserve your business table. Because this event includes a catered lunch, there will be NO walk-ins. Please choose your lunch selection and put it in your notes. Location TBD, ViP Van will be reserved and car pool options from Tucson. Please use the Drop down menu to pick your dish! The line up will be spectacular, SO don’t miss it! The raffle prizes this year will be better than ever before! GO TO BUY NOW BUTTON AND ORDER YOUR LUNCH! Early Bird deadline OCTOBER 17! Then the price will increase!!! RSVP Your Business Network 10 Top $450. Jilly Jesson Smyth, confirm RSVP details, secure your seat, open to all women. Put OCTOBER 24, 2015 on your calendar TODAY! The ONLY Spanish Speaking LegalShield Will Clinic by Davis Miles McGuire Gardner in Arizona. 1) Help my members complete their Will Questionnaire so Davis Miles McGuire Gardner can prepare their Will, Living Will, Medical Power of Attorney and Durable General (Financial) Power of Attorney. 2) Give my member an opportunity to learn about Living Trusts and schedule a time to meet with an attorney to see about preparing a trust for them, if desired. Clinic attendees should fill out the Will Questionnaire in advanced. If you have questions about section of the questionnaire, leave those sections blank and we will answer your questions at the Clinic. You will receive a Will Questionnaire in your new member packet from me. Extra Will Questionnaires will be available at the event. Seating is Limited, car pool available or webinar. Jilly Jesson Smyth to confirm RSVP details required and payment of $49.00 to secure coverage.